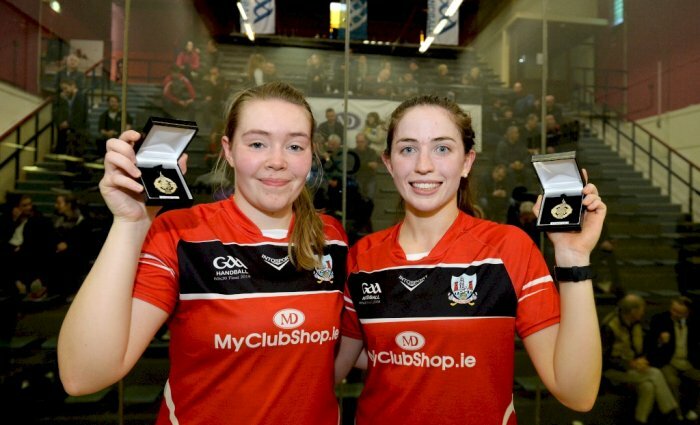 Cork's Catriona Casey and Aishling O'Keeffe retained their MyClubShop.ie All-Ireland 60x30 Senior Doubles title when they had a comfortable win over Kilkenny's Ciara Mahon and Aoife Holden at Croke Park on Saturday. With Casey controlling play from the left of the court, the Rebels ran out emphatic 21-4 winners in game one before Kilkenny upped the pace and asked some questions of the Rebels. However, the Dublin-based Ballydesmond duo closed it out 21-15 in fine style to affirm their position as the dominant doubles pairing in the sport at present. Having earlier seen off a youthful Kildare pair in the semi-final, the Cork ladies can reflect on another highly-impressive 'big alley' success. 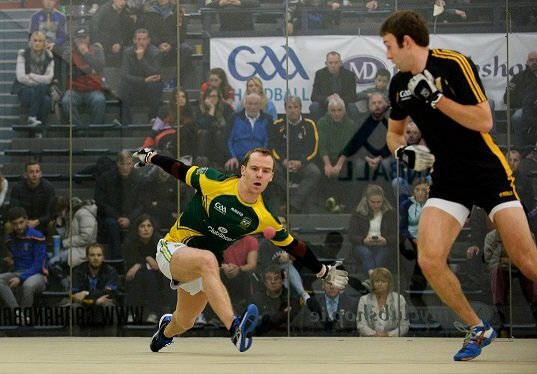 Meanwhile, the Men's Senior Doubles final next weekend will see Meath taking on Dublin after the Royals (Brian Carroll and Gary McConnell) easily saw off Kilkenny's Ciaran Neary and Keith Bourke and Dubs Eoin Kennedy and Carl Browne also ran out winners over Wexford's Gavin Buggy and Tommy Hynes in two one-sided semi-finals.  The Dubs defeated Wexford 21-3, 21-8 while the Kells clubmen ran out 21-8, 21-10 victors against the lefty-righty Noreside combination.